Getting to know your professors: Now is the time! My classes were all big lectures. This is such a big place. I never had the opportunity to talk with my professors one-on-one. Attending a Big 10 school has many advantages, but often “small class sizes” is not one of them. Why is it critical for pre-law students to develop relationships with professors, and how can you go about it? Whether you choose to apply to law school, graduate school, or job opportunities, you will need recommendations–and this is true throughout your lifetime. (If you ever intend to apply for a promotion or another job, you will again need references.) Building and maintaining these types of professional relationships is a skill you will use throughout your entire professional life. As we focus on law school, though, as a general rule we suggest that law school applicants with less than 3 years of full-time postgraduate work experience provide two academic and one non-academic letter of recommendation. (Some law schools will require 1 or 2 letters but most schools will accept 3 to 4 letters.) Applicants who have 3+ years of post-graduation work experience might consider submitting two work and one academic letter, to emphasize the extent of your present work skills. Academic letters are from professors or teaching assistants who have been in a position to assess your work in the classroom and compare you to other students. Non-academic letters can be from a work supervisor, internship supervisor, volunteer site supervisor, coach, or someone else who knows you well but is not a personal friend or family member, so they still have some objectivity. You will need to get to know your professors (or TAs) in order to obtain those two academic letters. How can you do that even at a big place like Illinois? Take the same professor/TA for multiple classes if you are able. This may require some advanced planning. Go to office hours. Many undergrads are terrified of office hours, because it sometimes feels as if you are taking up someone’s valuable time. However, most professors would welcome the opportunity to discuss course work, get to know their students, and talk about their discipline. Remember that they were once in your shoes too, and needed recommendations for graduate school. How can you approach the office hours visit to make it less stressful? Read the current assignments and bring with you a few questions and/or observations about them. What did you find most interesting or challenging? Is there anything that confused you? Have you drawn any connections between assignments that haven’t been discussed in class–or that you’d like to discuss more? If you like, you can tell the professor that you are making an effort to get to know all of your professors this semester. How did you find your passion for this material or discipline? Why did you decide to assign this particular work over others? You don’t have to make it lengthy–even a 15 minute chat helps to develop a connection and let the professor get to know you. Go a few times during the semester to develop a solid connection. Non-academic recommenders, such as an internship or work supervisor, may not know how to go about writing a law school recommendation. How can you handle that situation? Share the handout we posted over on our Compass page about letters of recommendation that lists the type of qualities and skills that law schools value. Remind your recommender about the work that you’ve done, including any big projects, team contributions, written materials, or presentations that you created on the job. Suggest skills that your recommender could write about–for example: I’m hoping you could include details about the website redesign that I completed. Ask the recommender to highlight any especially relevant transferrable skills, such as: marketing, working with clients, resolving conflict, writing complex reports, giving presentations, facilitating financial transactions. IF you are applying to law school this cycle, then NOW is the time to ask for those letters of recommendation so that you can complete your applications in November or early December. This workshop is designed for incoming students who are new to pre-law or are interested in learning more about it. 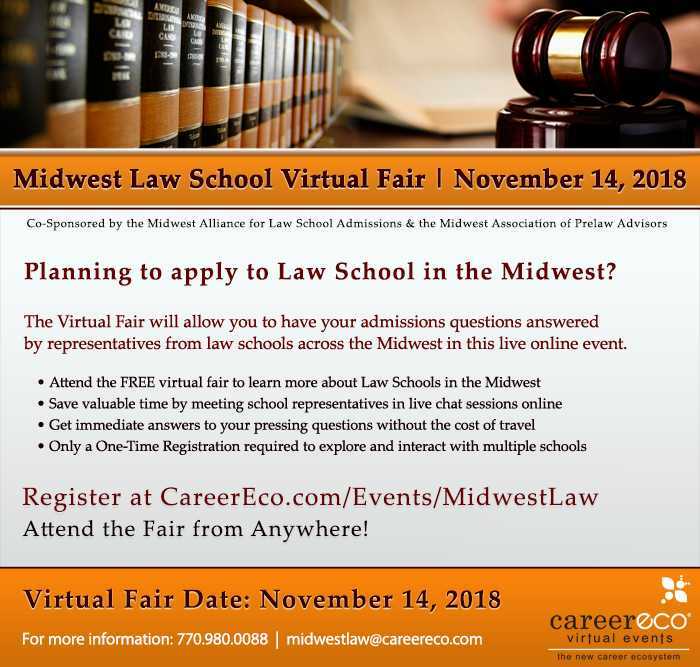 We will cover: What it means to be pre-law at Illinois, course selection, majors, and extracurriculars, building a pre-law resume, and what law schools are really looking for. We will outline a four year plan to maximize your undergraduate experiences in order to make a great law school candidate. We’ll also take any questions about law school and legal careers. Each Pre-Law 101 session is the same, so pick the one that best suits your schedule. Incoming students should attend a Pre-Law 101 prior to setting up an individual pre-law advising appointment. Bring your questions! Register here for this webinar by October 24. Webinar link and handouts will be sent to registrants before the session. College of Law Events–ALL are invited to attend! Illinois Supreme Court Justice Mary Jane Theis to present Dean’s Public Engagement Lecture–Oct. 25, 12pm-1pm, Max L. Rowe Auditorium in the Law Building. The Dean’s Public Engagement Lecure Series aims to increase integration between the legal academy, the legal and business professions, and the public. Hosted by Dean Vikram David Amar, the lecture series brings thought leaders, including distinguished judges, lawyers, and businesspersons to the College of Law to talk on cutting-edge issues affecting law, justice, business, and government.Lecture is free and open to the public. Lunch will be provided for lecture attendees. Studying Abroad in 2019? Think ahead for which test you want to take! especially if you plan to take the exam in March or June. You should factor in your study abroad timing when deciding which LSAT to take. The LSAT is offered in many other countries (which you can investigate at www.lsac.org), but you should carefully consider whether you will have the time and focus necessary for preparing for the exam while abroad. See our handbook for more information about the application process. Illinois in Washington (IIW) is an academic internship program open to all U of I undergraduates. Participants live and intern in Washington, DC, while taking U of I classes. IIW offers an exceptional opportunity to gain rewarding work experience while enjoying the political, intellectual, and cultural experiences than only the nation’s capital can offer. Student internships have included positions with members of Congress, think tanks, consulting groups, social justice organizations, and government agencies. Come and join us for an unforgettable semester in one of the most exciting cities in the world. Our information session will provide a brief overview of the program. The application deadline for the Summer 2019 term is February 1st. Application instructions are available at http://www.washington.illinois.edu/apply/information/. Click this link to fill out an application https://celiamhoward.wildapricot.org/Qualifications. Application deadline is due November 15th and awards are announced by April 1st. Breaking news from the LSAC: The LSAT is transitioning to digital in 2019. Today the LSAC issued a press release about their plans to transition from a paper & pencil LSAT format to a tablet-based digital format. 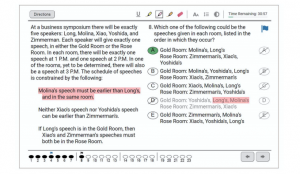 For the July 2019 LSAT, some test takers will be assigned the (current) paper & pencil format while others will be assigned to the tablet-based digital format. 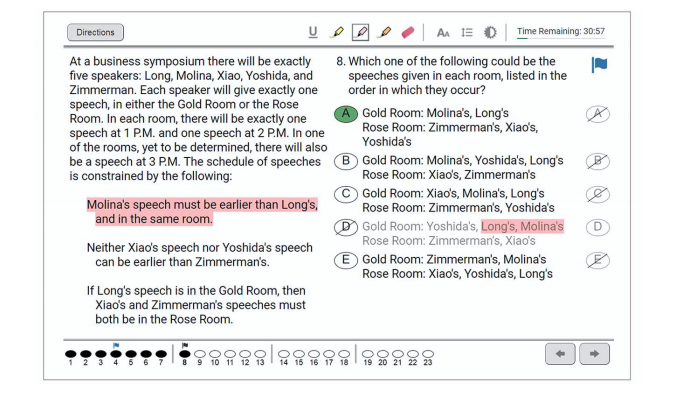 Every subsequent LSAT (September 2019 and beyond) will only be offered on the tablet-based digital platform. If it is important to you to take the paper & pencil format, then we strongly advise registering early for one of these LSATs in order to guarantee your spot. The LSAT schedule is also changing. The LSAC has announced the following dates for 2019-2020. Registration for these exams will begin in December 2018. Monday, June 3, 2019 12:30 p.m.
Monday, July 15, 2019 12:30 p.m.
Monday, October 28, 2019 12:30 p.m.
Monday, January 13, 2020 12:30 p.m.
Saturday, February 22, 2020 8:30 a.m.
Monday, March 3 , 2020 12:30 p.m.
Saturday, April 25, 2020 8:30 a.m.
Stay tuned for additional updates as the LSAC issues further details. Now is the time to schedule law school visits and register for open house events! Chicago-Kent: October Admissions Workshop Saturday, October 13, 10:00 a.m. – 12:00 p.m. Click here for more details. Loyola-Chicago: Information Sessions are offered Monday, October 15 at 11:15 am, Monday, November 19 (Note: That’s during Fall Break!) at 11:15 am, or Friday, November 30 at 12:15 pm. Click here fore more details. Dress professionally for the event. Likely the open houses will have a business casual dress code. We recommend business formal (such as a suit or shirt and tie) even if the law students are more casual because you want to make a good first impression. Read the website and be familiar with the time, date, where to park, and what to bring to the event. Write down any questions you have so you can ask them on the tour or during the visit. Do NOT be late–allow for extra time for parking and finding the admissions office.